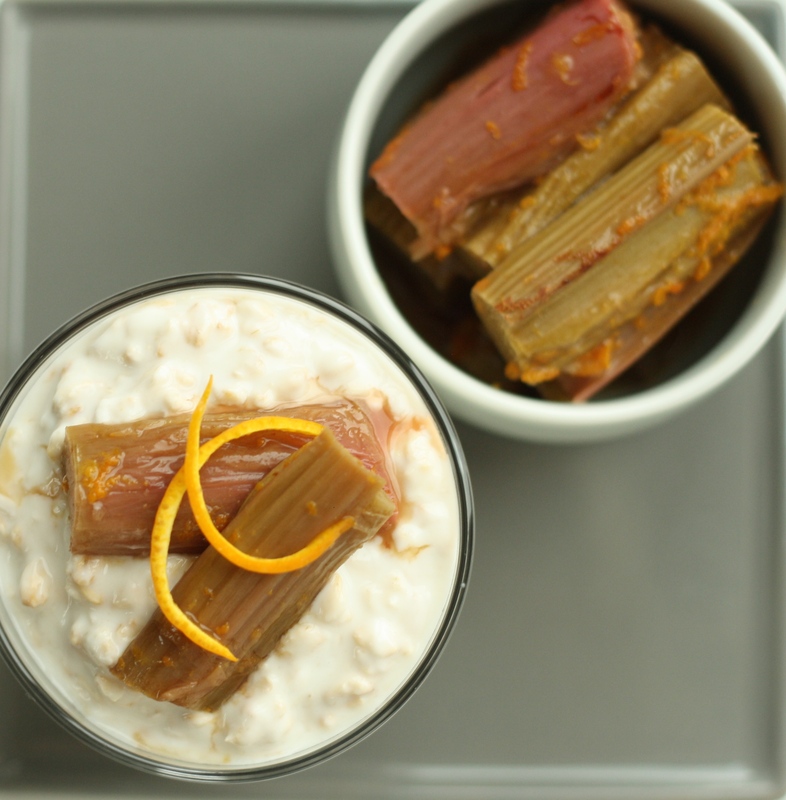 For today’s overnight oats post we’re talking rhubarb and what better accompaniment to rhubarb than orange. They play off each other so beautifully and the pink and orange colour combo is just gorgeous. 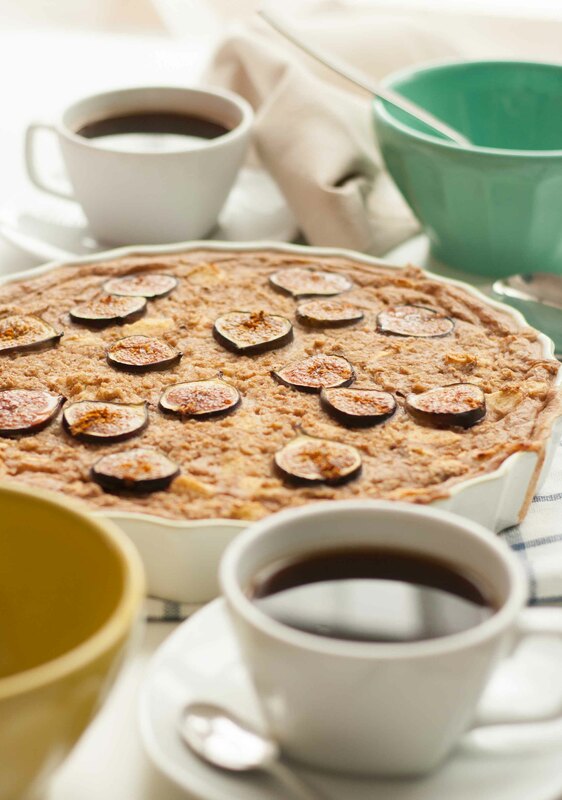 The orange, with the help of a touch of brown sugar, counteracts the tartness of the rhubarb and makes for a perfect, zingy contrast to the creamy oats. It takes a little longer to prep the night before, but keeps in the fridge for a good few days, so it’s worth a little effort. Preheat the oven to 175C / 160C / 350F. Slice the rhubarb into 1 inch pieces and put it in a baking tray (with sides) and pour over the honey, zest and orange juice and give it a little stir. Cover the baking tray loosely with foil and bake the rhubarb for 20-30 minutes until soft but holding its shape. 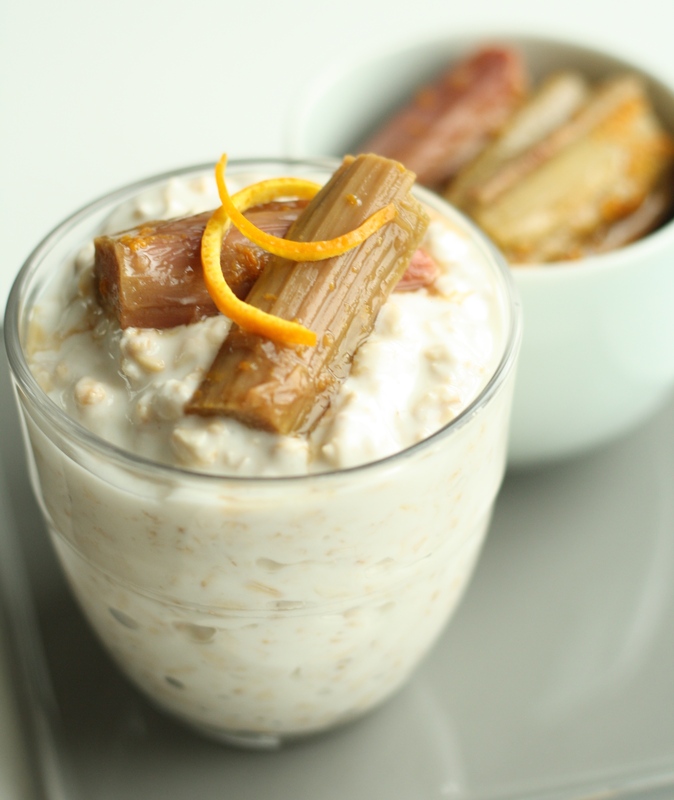 Once cooled pop the rhubarb in a bowl in the fridge and serve over your basic overnight oats. 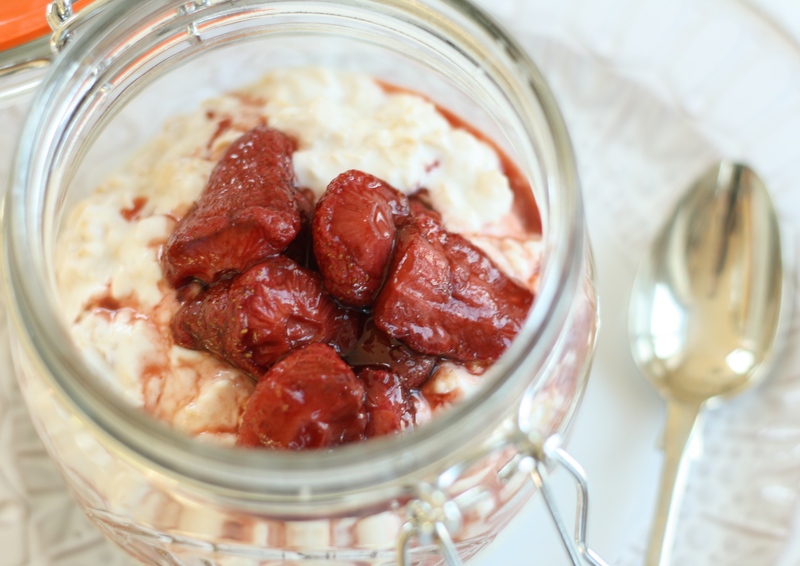 For this week’s overnight oats episode I took a note out of Tracy Shutterbean’s book and roasted some strawberries. Roasting strawberries intensifies their flavour, adding a cheeky splash of balsamic vinegar gives them an amazing tang and maple syrup provides just the right level of stickiness. This method is especially effective if you’ve accidentally bought a duff batch of watery flavourless strawberries, it really perks them up. 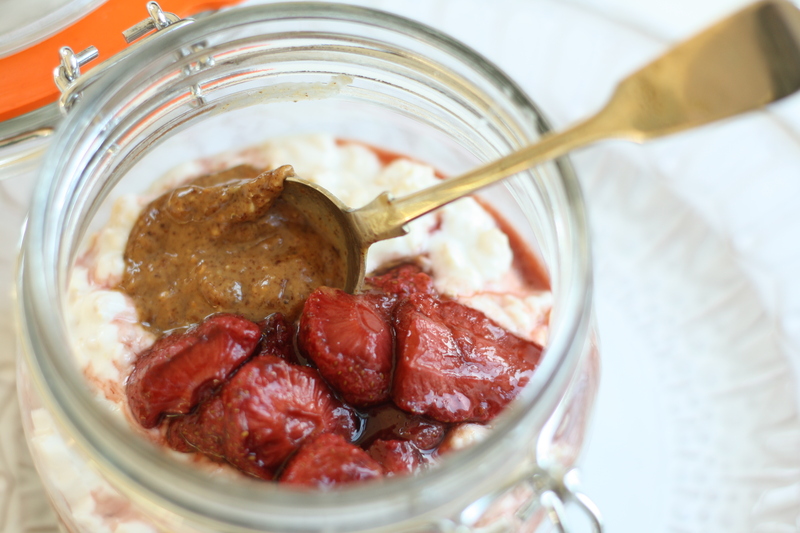 The strawberries cut through the richness of overnight oats beautifully, but I couldn’t resist adding to the richness with a little almond butter. Any excuse! I recommend you prepare a big batch of these strawberries as there are so many uses for them, such as Tracy’s gorgeous snack idea of popping them on graham crackers topped with ricotta. Heaven! Preheat the oven to 175C / 160C Fan / 350F and line a baking tray (with sides) with parchment paper. Mix all of the ingredients except the strawberries in a small bowl. Pop the strawberries into a larger bowl and pour over the liquid. Toss the strawberries around to coat them thoroughly. Remove the strawberries from the liquid and spread them out over the baking sheet, then dispose of the remaining liquid. Roast them for 40-45 minutes. They should stay fresh in the fridge for about a week. 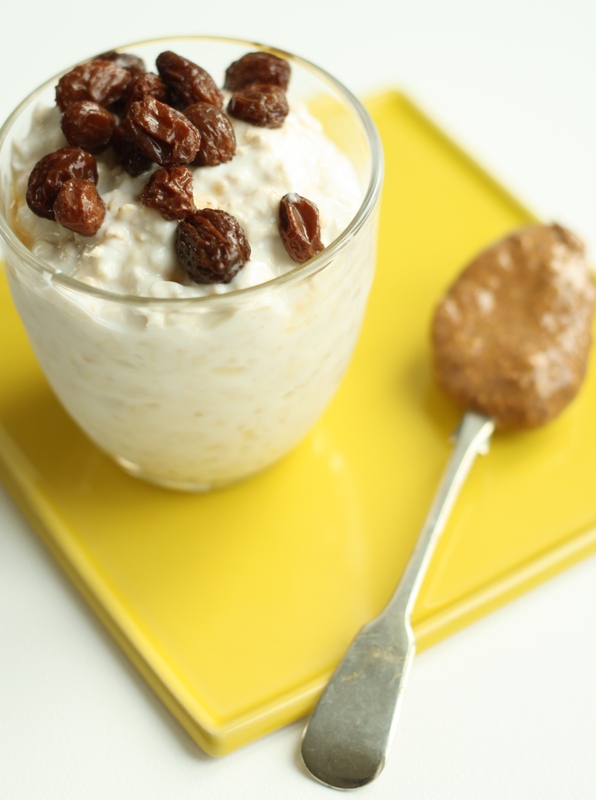 Welcome to part 2 of my overnight oats series. 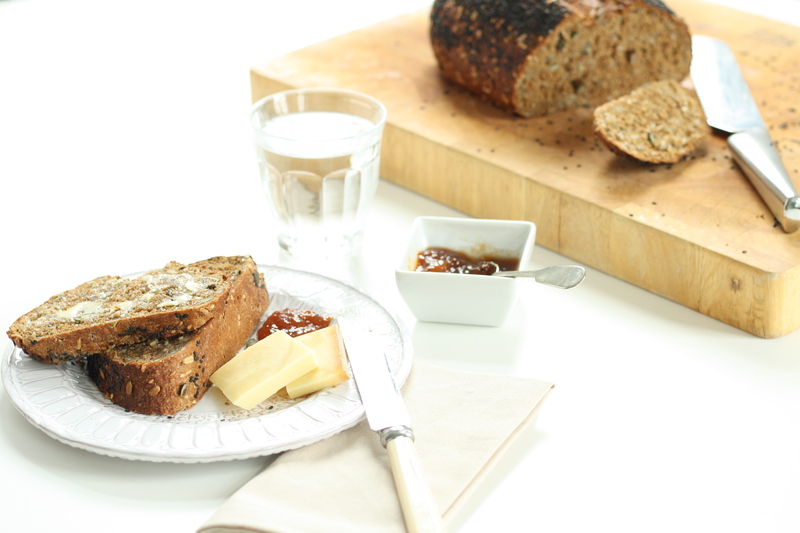 Now we’ve gone though the basic recipe, it’s time to start thinking about toppings. Although this may not look like the most exciting of accompaniments, it’s the one I go back to time and time again. 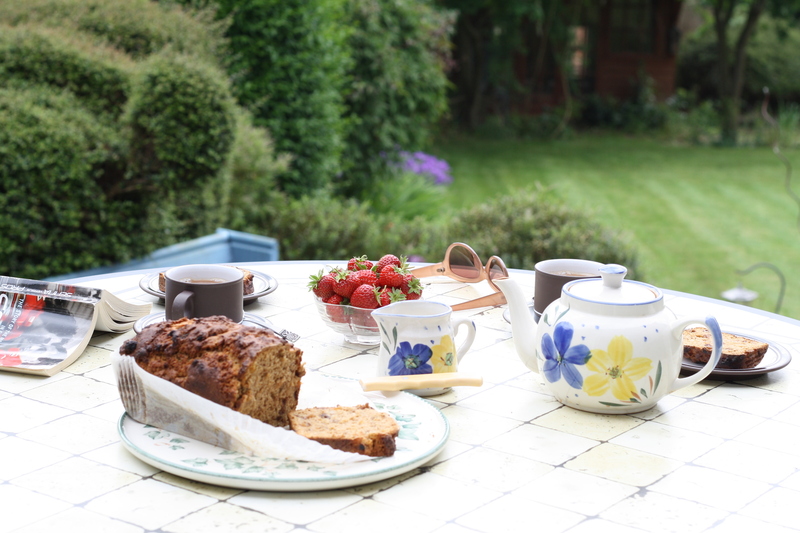 For one thing you don’t need to have any fresh fruit in the house, just raisins, a tea bag and a jar of nut butter. 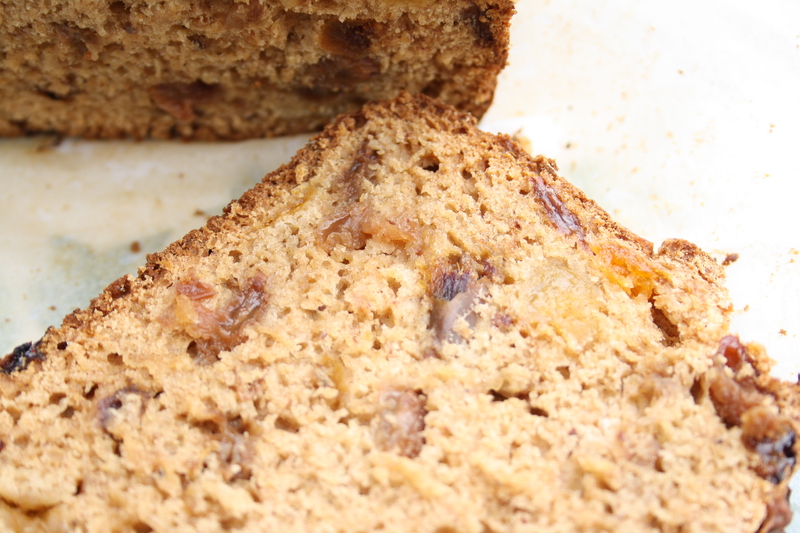 Secondly, it tastes amazing! Overnight, the tea turns the raisins into juicy, sweet little globes that burst wonderfully in your mouth, with just a hint of citrus and tea flavour. 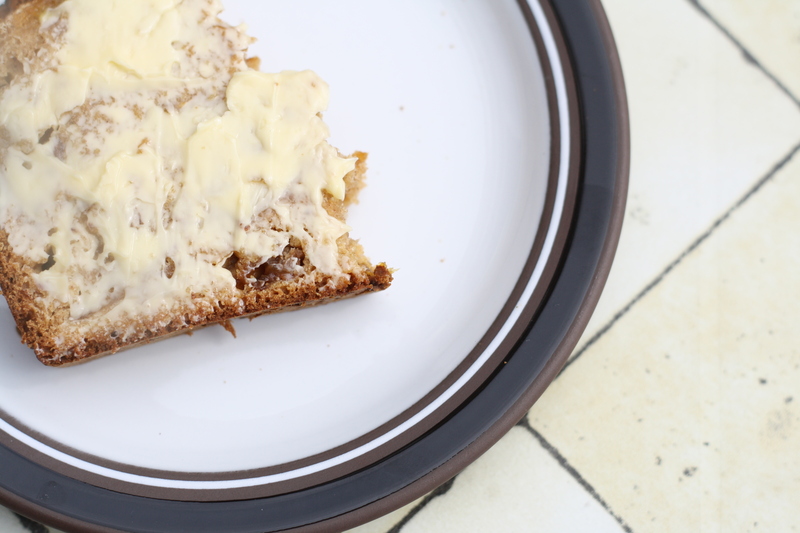 The almond butter adds richness to the oats and provides some marvellous essential fats. It’s the perfect combination. 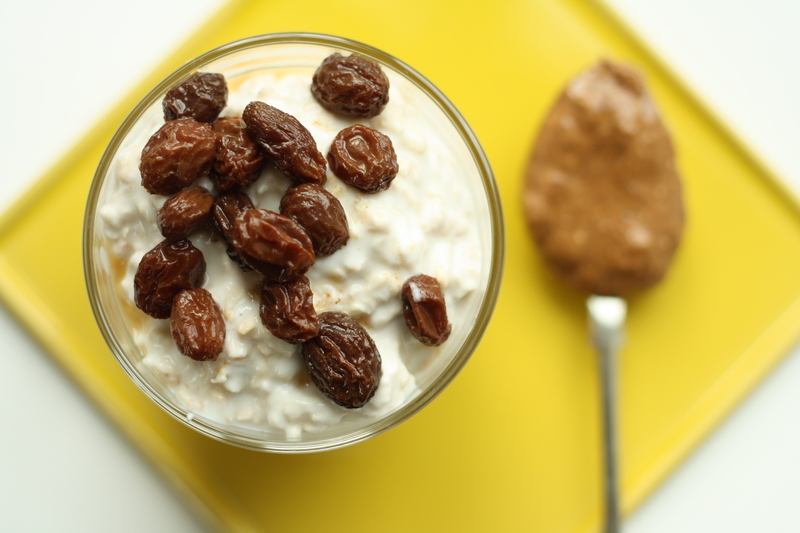 In the evening, once you’ve whipped up your overnight oats and put them in the fridge, make a cup of tea, remove the tea bag and put the raisins into the cup. 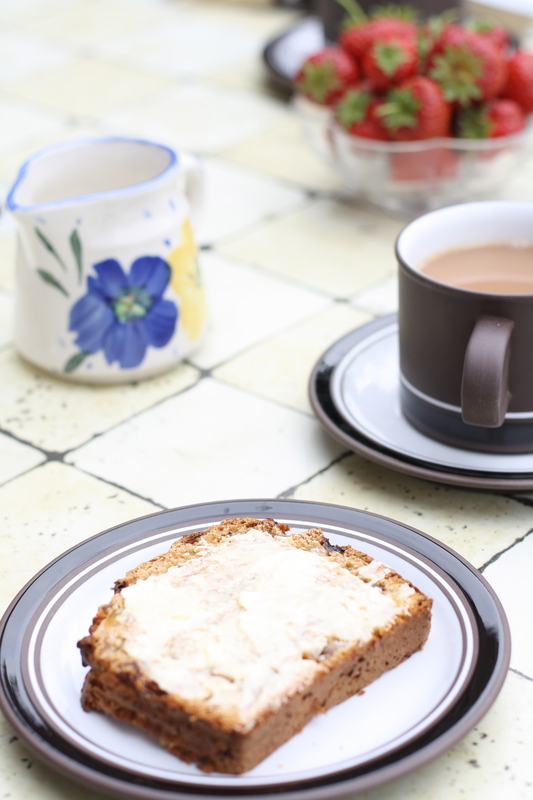 Cover the cup with a saucer and leave it on the work surface over night. 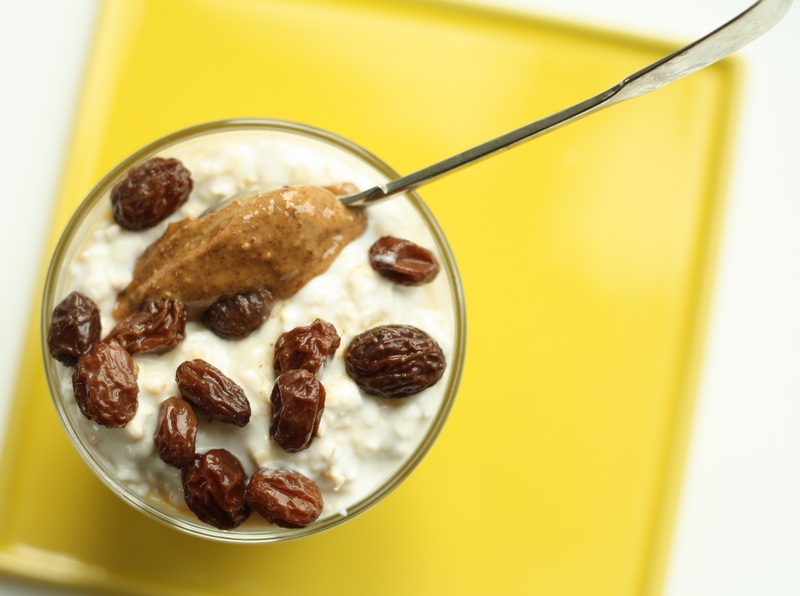 In the morning remove the raisins and sprinkle them over the overnight oats. 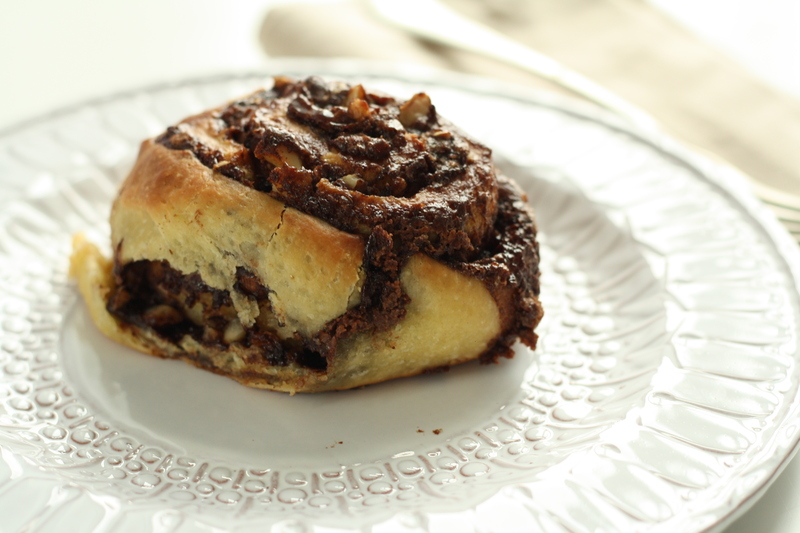 Stir through the nut butter and enjoy! 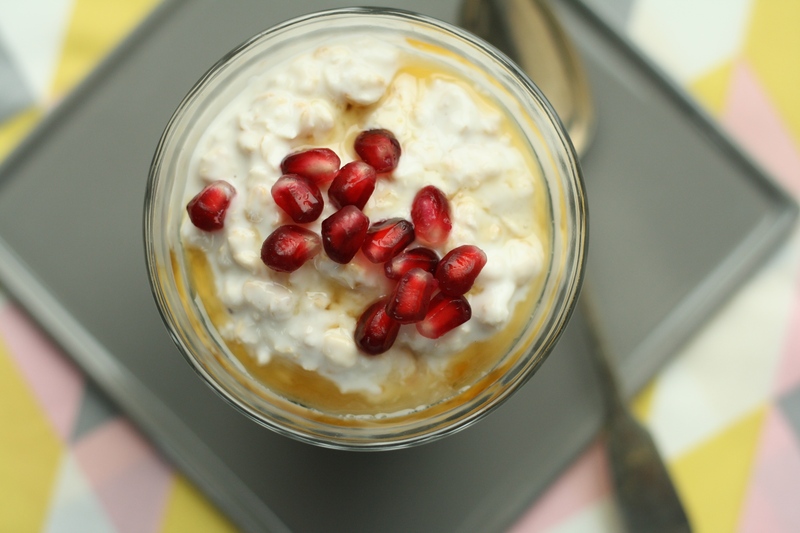 Welcome to my new series, may I present my latest obsession, overnight oats! 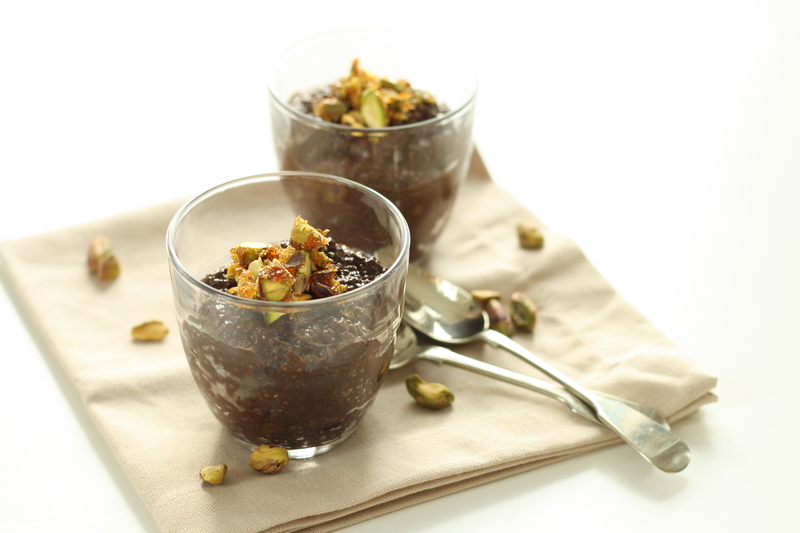 Okay, as usual I’m hugely behind the food curve, (see Chocolate Chia Seed Pudding about 6 months too late!) but now I’m seriously making up for lost time. I am a great believer that breakfast is the most important meal of the day, but the best days for me start with something oaty and yoghurty. So when I discovered overnight oats I got myself into a happy food rut. Like a perfect bowl of porridge, with the added advantage of not having to get up early in the morning to cook, you mix them up before bed and the next morning you top them with whatever you like. In this series I’m going to show you a few of my favourite toppings and attempt to persuade you to share in my obsession! So let’s start with the basic recipe (only 3 ingredients!!) 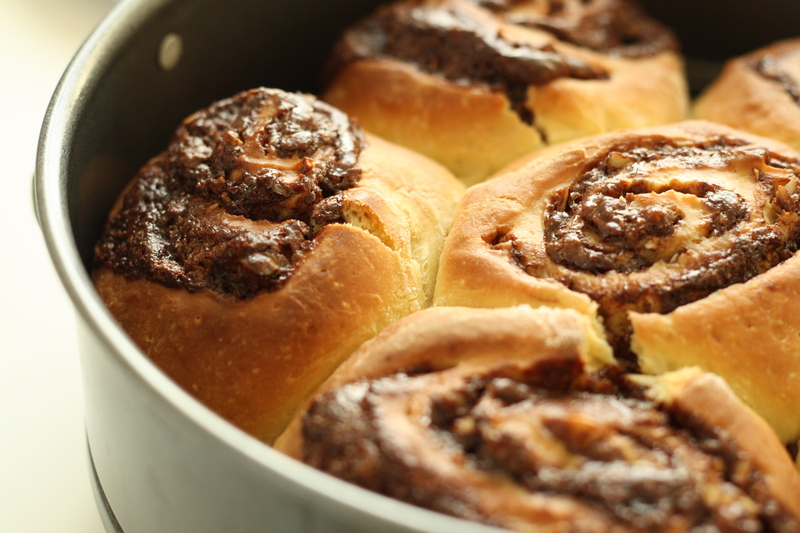 and maybe throw on some pomegranate seeds and maple syrup. 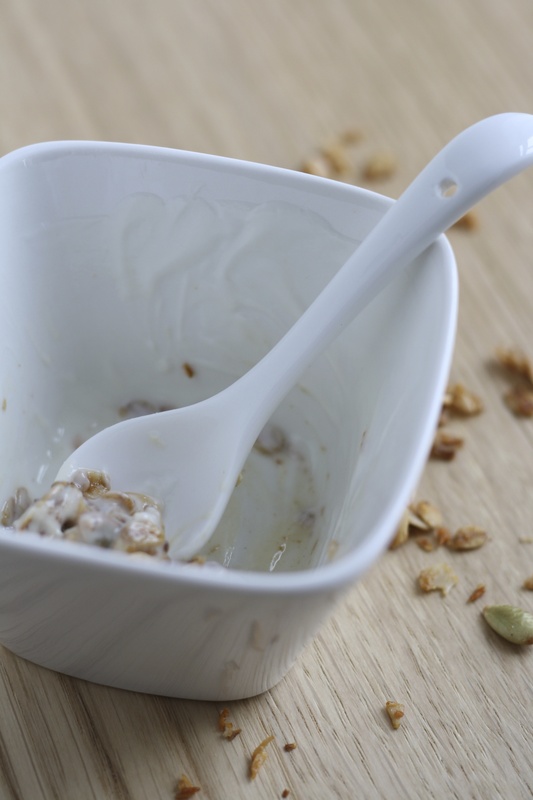 Before bed, stir the ingredients together in a cereal bowl, cover the bowl with a plate and pop it in the fridge until morning. You’re done! If you like your oats a little runnier throw in some more water next time. I’m not good with trends, but in my defence I bought a pack of chia seeds around 6 months ago, had no clue what to do with them and was too lazy to find out. I may have intended to adapt this granola recipe to include them, who knows, but it didn’t happen. 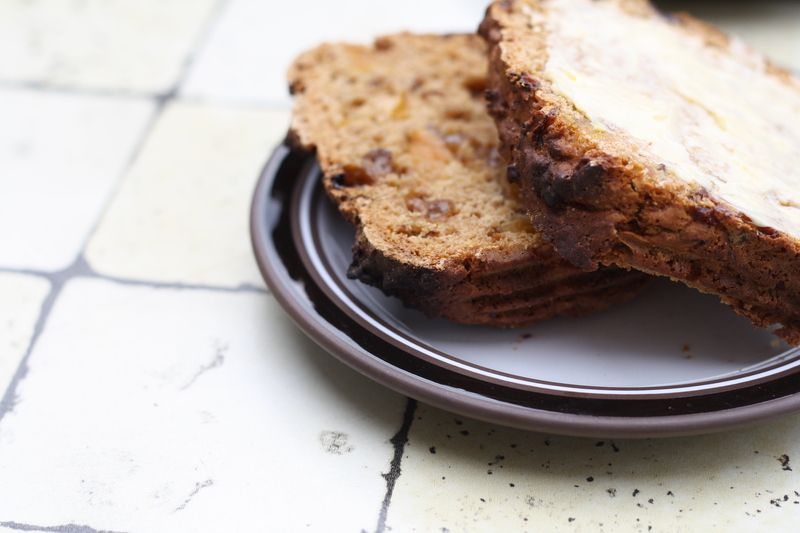 Until last night they were sitting, completely unloved, at the bottom of a drawer full of baking stuff. 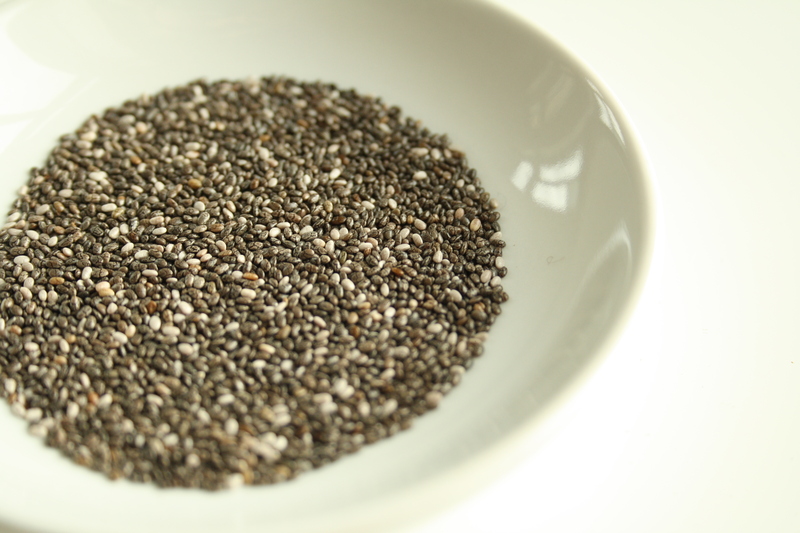 For those of you out there who haven’t heard about these tiny, super-hyped seeds, they are apparently loaded with fibre, omega 3, calcium and protein along with lots of other nutrients and they also fight belly fat. I had to give them a go. I’m a breakfast obsessive. As addictions go I suppose this is one of the least offensive that I could hope for. The problem is that I’m stuck in a repetitive breakfast cycle of my own creation. Given the chance (which usually hinges on whether or not the grater is clean), I will happily eat the same breakfast each and every day. 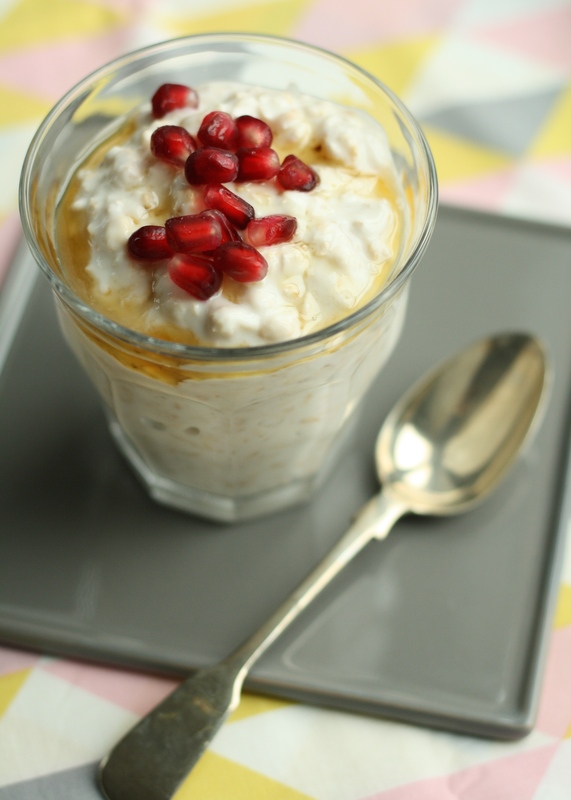 A whole grated apple mixed with oats, yoghurt and milled flax seeds. Prepared before I get in the shower in the morning, by the time I come out the oats have softened just enough for eating (although I’m sure they’d be nicer if left in the fridge overnight). 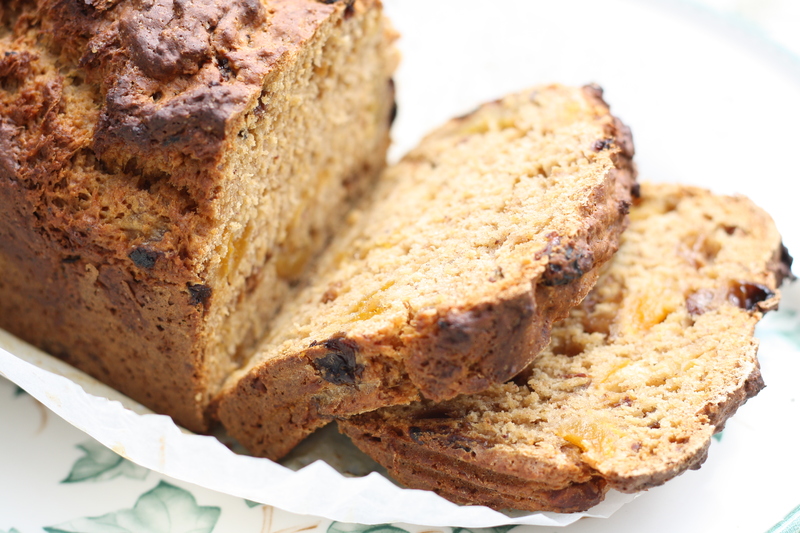 It’s full of healthy ingredients, with the right amount of sweetness from the apple to stop it feeling like a chore to eat. 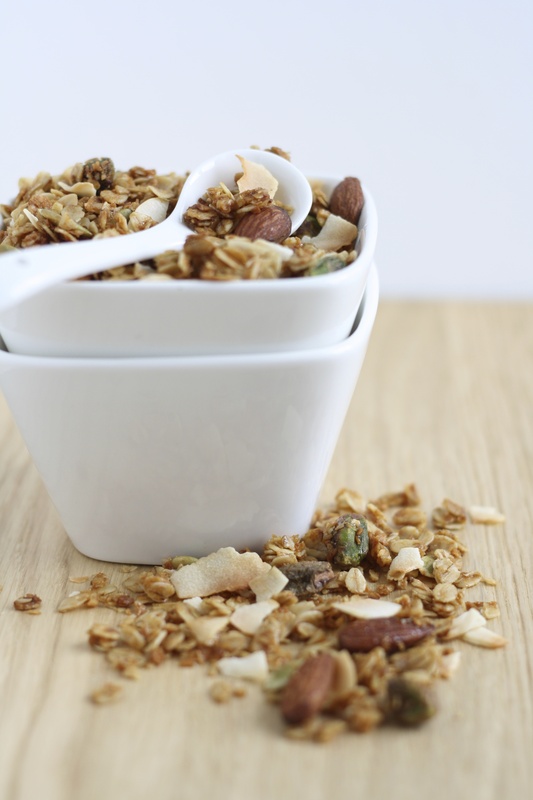 Sometimes though, I have to shake things up and break out of my breakfast rut and that’s where this granola recipe comes into play. 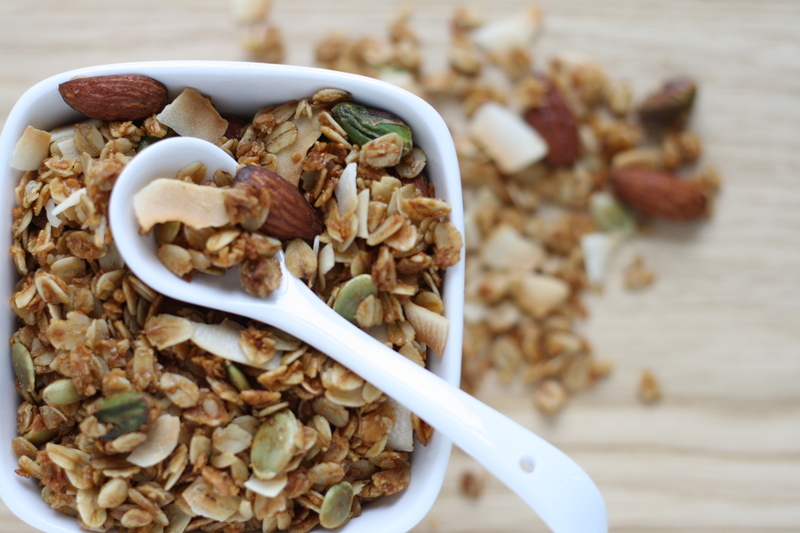 Granola is endlessly adaptable and you can adjust the ingredients to your taste incredibly easily. Don’t like nuts? Leave them out. 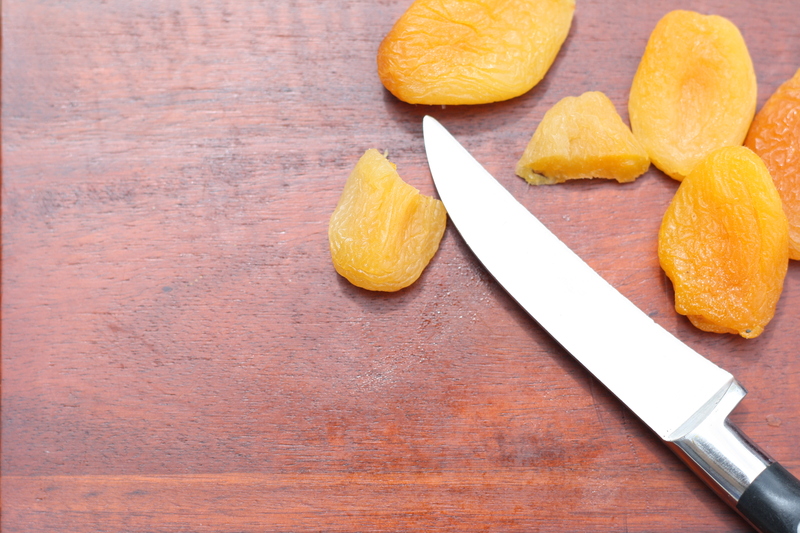 Fancy a bit of dried fruit? 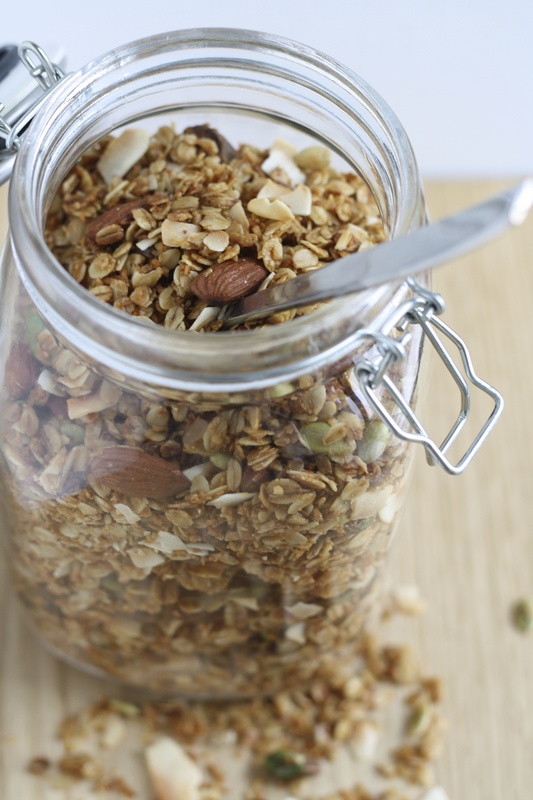 Whack some in there (after you’ve cooked the rest of the granola obviously!) 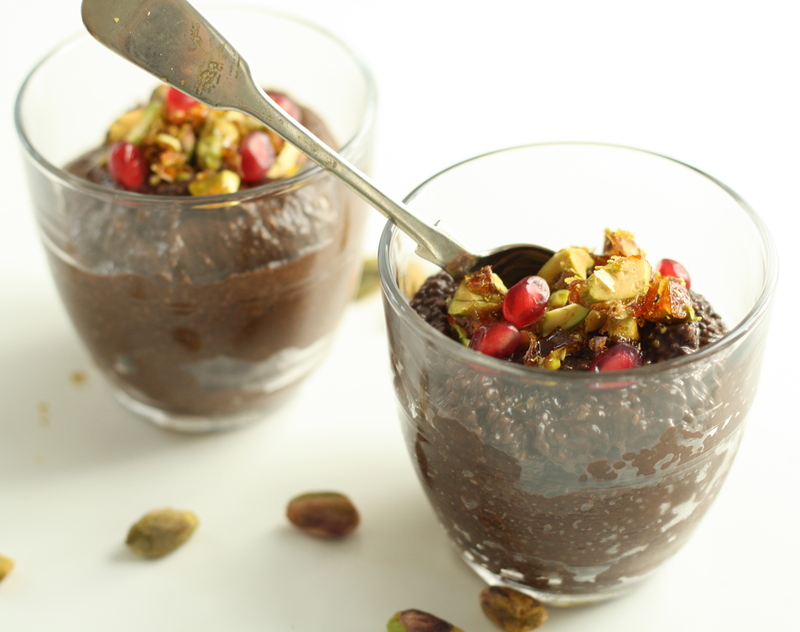 Looking for a slightly healthier breakfast than cocopops? 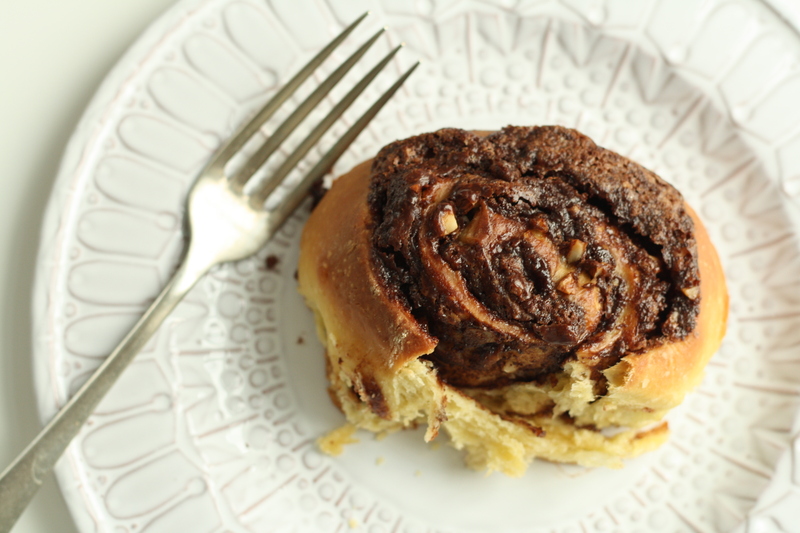 Why not add a little cocoa powder into the mix? 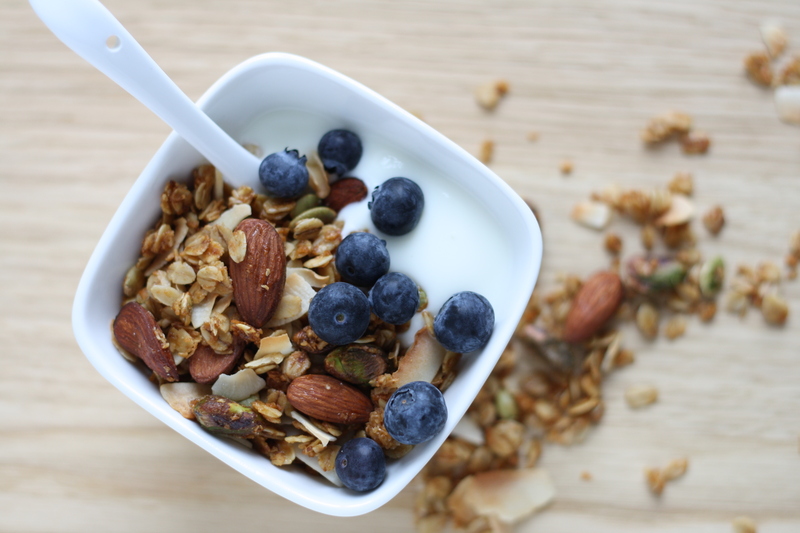 For me the completely non-negotiable add ins have to be coconut (in this case in 2 forms) and almonds, it really wouldn’t be granola without them. They are 2 of my favourite flavours and both add the essential crunch with makes granola what it is. Without them what’s the point? I may as well get back in my rut! Honey is also indispensable here, it’s the glue that holds the other ingredients together and sweetens the whole shebang (spelling?? ), so that only minimal sugar is required (and you could probably leave it out altogether and still be perfectly satisfied). For my vegan friends out there (well vegan friend anyway, you know who you are!) 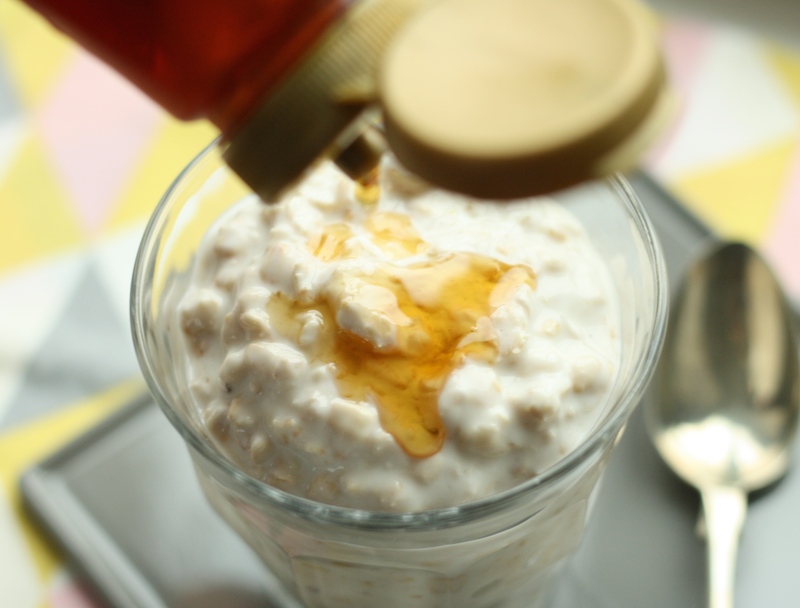 maple syrup will work a treat too and impart it’s beautiful mapley flavour into your breakfast situation. I recommend lashings of yoghurt and some summery berries as accompaniments, but milk (almond milk?) would work wonders too. I’ve gone a little American with my measurements here, it’s easier than getting the scales out and granola should be quick and simple to whip up, so please forgive me my British chums! Start by preheating your oven to 175 C / 155 C fan oven / 350 F and line a large baking sheet (with slightly raised sides) with baking paper. In a large bowl mix together the oats, nuts, seeds, coconut shreds, oil, honey and salt until thoroughly incorporated. Next add in the brown sugar and stir that thoroughly through. Tip the whole mixture out onto the baking sheet and put it in the oven for 30 minutes, giving it a stir around every 10 minutes and keeping an eye on it to make sure it doesn’t get too dark at the edges. Finally add in the toasted coconut, stir it through and put it back in the oven for a further 5 minutes. 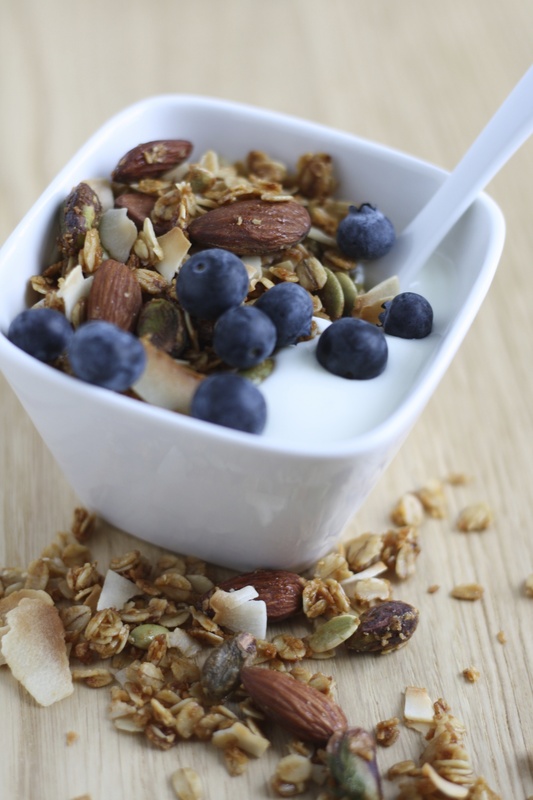 Carefully tip the granola into a large bowl to cool giving it a stir every so often to breakdown any large clumps. Once completely cooled decant it into a storage jar and enjoy! It will keep for at least a week, if not longer, but good luck resisting it!